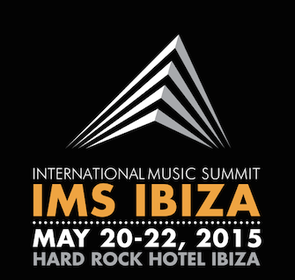 The International Music Summit returns to Ibiza for the eighth annual summit on 20-22 May 2015. Artists, influencers, leaders, entrepreneurs, brands, aspiring newcomers in electronic music and technology visionaries converge for three days to join in conversations that aim to drive the industry forward. A fusion of daytime panels, discussions, and workshops with evening dinners and official parties cultivates an environment where seasoned professionals and newcomers join in conversations. This is where spontaneous collisions may lead to lasting connections, and where the future of electronic music is in focus for the coming year. For the second year, IMS will be returning to host the summit at one of the island’s premier locations, Hard Rock Hotel Ibiza. Delegates, artists, speakers and press will have use of its state of the art facilities and can enjoy the surrounding offerings of Playa D’en Bossa. IMS Ibiza has grown to possibly be the highest regarded music conference and marks the major opening Ibiza weekend with daytime summit activities and evening performances incorporating the UNESCO World Heritage Site of Dalt Vila.